Do you ever get the feeling that social media is taking over our lives? That you can’t function unless you’ve checked your Facebook account, sent out your latest Twitter update and Blogged something event-worthy in your life and ALL that’s BEFORE getting out of bed?? Or maybe you’re a complete social networking addict, like a friend of mine who carries two I-Phones to juggle her separate business and personal accounts? Social September is an initiative sparked by Bianca Venuti, daughter of famed entertainer Maria Venuti. While she admits she’s a huge fan of social networking, Bianca says the time has come to ‘switch off’ and do it for a good cause. 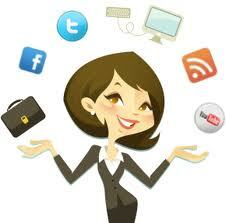 The latest statistics show Australians spend one in every five minutes on social media. So Bianca wants us, alongside a host of well-known Aussie celebs, to come up with fund-raising ideas that will encourage people to ‘switch off’ and get together IN PERSON (remember how to do that?) to raise money for The Reach Foundation. Reach is a really good fit for this cause. Because by ‘switching off’ and actually communicating with each other in a face-to-face setting, we feel a whole lot better about ourselves and life. And Reach is all about helping young people improve their self-esteem, thereby inspiring them to achieve. Both Social September and Reach recognise building relationships face-to-face is crucial in promoting positive mental health and emotional wellbeing. So turn off that digital technology and start talking! I think I’d like to play a REAL game of Scrabble with someone, instead of Words With Friends. Any takers? Maybe a fund-raising scrabble tournament? Hmm… this could be good. 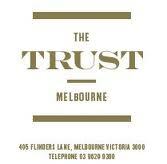 Social September is being launched tonight in Melbourne at The Trust Bar. I think I’m going to have to pop in just to see if anyone dares pull out a mobile phone. If you’d like to get involved, register at www.socialseptember.com and spread the word. That’s where you can also learn more about specific events taking place. For each $75 raised, one additional young Australian can be invited to a face- to-face Reach program. Some of the inaugural Social September Socialites include Adriano Zumbo, Laura Dundovic, Maria Venuti AM, Danny Clayton, Sam Burgess, Sami Lukas, Joshua Horner, PJ Lane, Trevor Ashley, Zoe Sheridan, and Joe Avati.